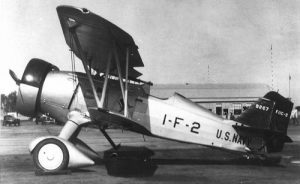 Photo F11C – 01: Curtiss F11C-2/BFC-2 BuNo 9282 was the last F11C-2 of the initial batch taken on charge by VF-1B. Thus, it became 1-F-18 as being the third aircraft of the Sixth section with its lower engine cowling painted in Lemon Yellow, Black outlined. Note the Gunnery Trophy pennant which was painted on both sides of the fuselage. 9282 is seen soon after its conversion to a BFC-2 but before VF1-B was renamed VB-2B in July 1934. 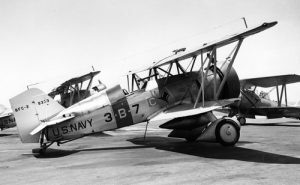 Photo F11C – 02: Curtiss F11C-2 BuNo 9267 seen while serving with VF1B with which it served between April 1933 and March 1934 when it was sent to San Diego for minor repairs. 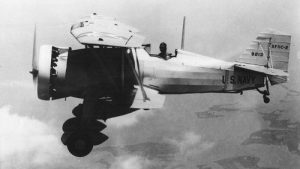 It later served as a BFC-2 and would be stricken from inventory in May 1938 with 1,229 flight hours logged. 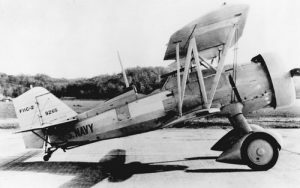 Photo F11C – 03: Curtiss F11C-2 BuNo 9268 was the only F11C-2 not to have been converted to BFC standard, having been destroyed in an accident in December 1933. This photo may have been taken before its delivery to the US Navy, as the markings are not fully painted on. Indeed, the cowling remains unpainted because it should have its lower half part painted in red as being the third aircraft of the first section. 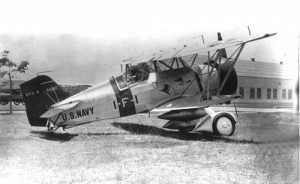 Also, as far as available photographs can testify, the F11C-2s of VF-1B were wearing the gunnery trophy ahead of the cockpit, missing on this F11C-2. Photo F11C – 04: An unidentified F11C in flight. Note the BuNo is missing. 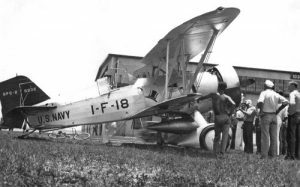 Photo F11C – 05: Curtiss F11C-2 BuNo 9266 seen shortly after it had been converted to a BFC. The mechanics have altered the denomination from ‘F11C-2’ to ‘BFC-2’ on the tail. 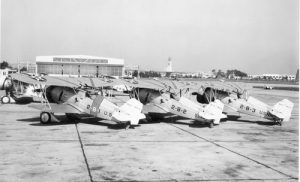 Knowing that VF-1B became VB-2B on 01.07.34 and the first conversion kits were installed in March 1934, this photo was probably taken during spring 1934, as the codes of VF-1B are still worn. The tail is red (USS Saratoga) and it is the aircraft of the leader of the First section, with the engine cowling and fuselage band in red. Note the gunnery trophy painted ahead of the cockpit. On the upper wing the red chevron with the black ‘1’ inside can been seen in the normal position, believe to be the rule for F11Cs. 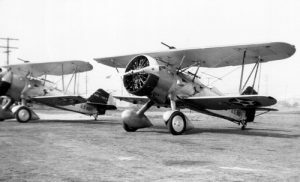 Photo F11C – 06: Curtiss F11C-2 BuNo 9282 whilst in service with VF-1B in 1933. It was used by the leader of the Sixth section, with a Lemon Yellow band on the fuselage and its engine cowling fully painted in the same colour. Note the gunnery trophy pennant painted ahead of the cockpit. 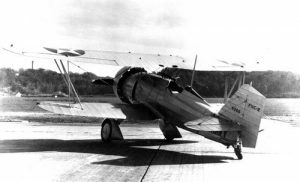 Photo F11C – 07: Curtiss F11C-2 BuNo 9332 became the last of the eighteen F11Cs to be issued to VF1B in July 1933. Later converted, it was stricken from inventory in June 1938 with 1,475 hours to its airframe. 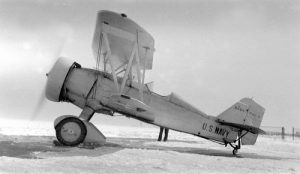 Photo F11C – 09: The first production F11C-2 BuNo 9265 warming up its engine in December 1932 at Norfolk (VA). It is clear of any unit markings. Indeed it spent most of its career as a test aircraft, joining the fleet in 1936. Photo F11C – 10: Curtiss XF11C-2 BuNo 9213 was actuallyh an existing civil Hawk II (Curtiss demonstrator) purchased by the Navy as test aircraft before to be later modified as XF11C-2. Photo F11C – 11: Another view of the first F11C-2, BuNo 9265 (see photo F11C-08). 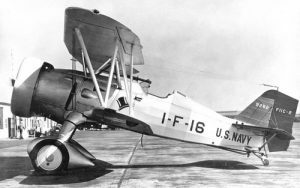 Photo F11C – 12: The XF11C-2 was purchased by the US Navy to become a test aircraft. 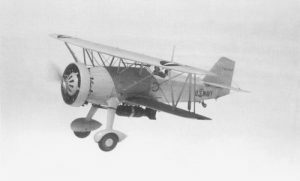 It is seen here in flight with a 500 lb bomb installed under the fuselage. Photo F11C – 13: Two F11C-2s on the ground. 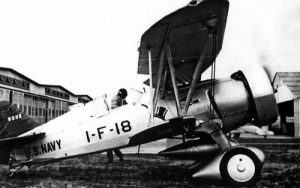 On the background BuNo 9333 which was issued to VF-B in December 1933. 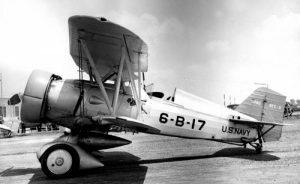 It was stricken in April 1939 as an BFC-2. 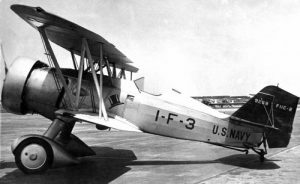 Photo F11C – 14: Curtiss F11C-2 BuNo 9269 was chosen to become the prototype XF11C-3. 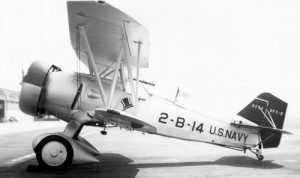 It would become XBF2C-1. Photo BFC – 01: Curtiss BFC-2 BuNo 9333 seen during summer 1937. 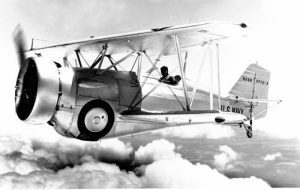 From 1 July 1937 onwards, VB-2B became VB-3 after the major changes which occurred in the US Navy at the same date. Aircraft of the leader of the Third section, it had the fuselage band painted in True Blue (White outlined), and the engine cowling was also painted in blue. Note the white ‘C’ painted behind the ‘High Hat’ awarded for proficiency in communications. This marking appeared after the 1935-1936 communication competition. Photo BFC – 02: Same aircraft seen from a different angle. 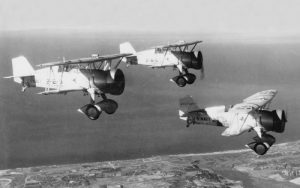 Photo BFC – 03: When VB-3 began to receive the Vought SB2U, Curtiss BFC-2 BuNo 9333 was sent to storage at San Diego in January 1938, but for a short time only. Indeed, it belongs to the small batch which was taken on charge by VB-6 (USS Enterprise) in February that year as stopgap waiting for their BT-1s. In May it eventually left VB-6 and was grounded before the end of year after various cracks had been found in the engine mounts. As second aircraft of the Sixth section, the upper cowling is painting in Lemon Yellow with a thin black band. 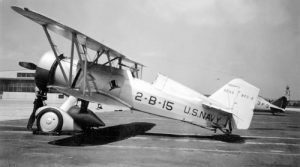 Photo BFC – 06: Curtiss BFC-2 BuNo 9332 was issued to VF-1B three days after 9331 in July 1933 and became the third aircraft of the Sixth Section (1-F-18). So its lower half engine cowling was painted in Lemon Yellow with a thin black band at its top. 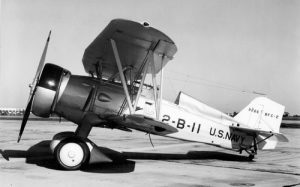 In July 1934, the codes were altered to 2-B-18 and new denomination painted on the tail, without any other changes. In January 1935, it was sent to San Diego Battle Force probably for overhaul, so we can easily guess that this photo was taken before that date. Photo BFC – 07: Three BFC-2s of VB-2B flying in formation, with BuNo 9274 leading. The individual numbers identify the Red Section. 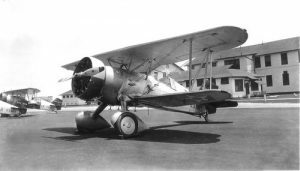 Photo BFC – 08: Curtiss BFC-2 BuNo 9274 was sent for overhaul in July 1936. When it returned to VB-2B the following October it became the second aircraft of the Fifth section with its upper half engine cowling painted in Willow Green. 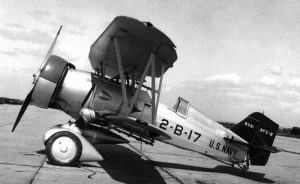 In February 1938, it was one of the few which were used by the VB-6 and was one of the last to fly with the US Navy. 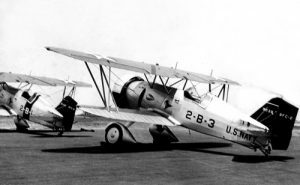 Photo BFC – 09: Curtiss BFC-2 BuNo 9265 spent a large part of its career as test aircraft. However, it was briefly used by operational squadrons during that time, probably to test various equipment. 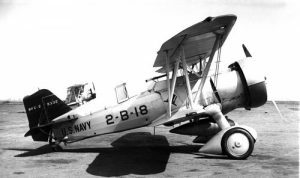 It was briefly used by VF-1B in 1933, later returning to the squadron (now VF-2B) which became VB-3 on 1 July 1937. 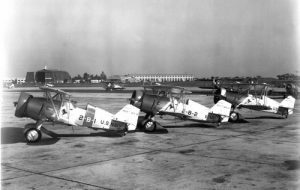 The red tail was changed for a white tail, but for a very short time, the BFC-2s continued to wear the codes ‘2-B’ instead of ‘3-B’, giving a clue to when this picture was taken, probably in July 1937. The cowling has the markings for third aircraft of the Fifth section – Green. Photo BFC – 10: During its service with VB-2B on the USS Saratoga (red tail), Curtiss BFC-2 BuNo 9272 was the mount of the leader of the Third section with a blue engine cowling and blue band, white outlined. It was later lost during a test flight in July 1936, after an overhaul. 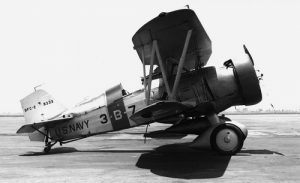 Photo BFC – 11: Curtiss BFC-2 BuNo 9334 seen after 1 July 1937, when the ‘High Hat’ Squadron became VB-3 on the USS Saratoga with a new white tail. 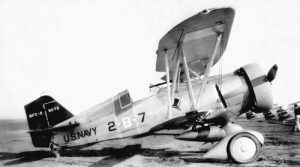 This BFC-2 is the second aircraft of the Sixth section, with the upper half cowling painting in yellow, outlined with a thin black band. Bu.No. 9334 left the ‘High Hat’ Squadron in the following October. 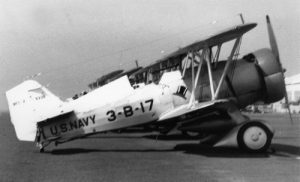 Photo BFC – 13: The reason why the tail of this Curtiss BFC-2 BuNo 9266 was painted in white is not known, but it should be red, as 9266 was lost in February 1937 before the change of tail colour in July when the USS Saratoga adopted this colour for her aircraft. This mistake may have occurred during an overhaul or repairs. Note the absence of the bomb racks which could suggest a recent stay at San Diego Battle Force facilities. 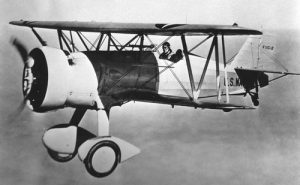 As second aircraft of the Fourth section, the upper half of the cowling is black. Photo BFC – 14: Another view of the BFC-2s seen photo BFC-12. Photo BFC – 15: An unidentified Curtiss of the last batch parked at San Diego. The colour of the cowling indicates that it was the third aircraft of its section, but the true identity is not known. This entry was posted on August 7, 2015 by Phil Listemann.